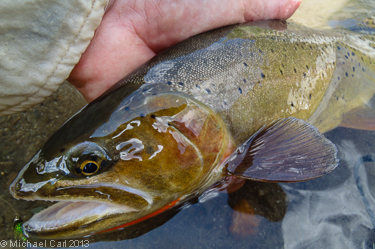 Yellowstone cutthroat live in a big, rugged country. Unfortunately their country is under siege. The attacks come from introduced, non-native trout species. One species, lake trout, likes to feed on Yellowstone cutt. The other species, rainbow trout, likes to interbreed with Yellowstone cutthroat. Each of these non-native assaults is brought to light in one of the watersheds listed on the top left. Not every watershed in this big country is in trouble. Strange as it might sound, a major cutthroat stronghold lies not inside a National Park or a National Forest, but the entire lower section within the borders of a private ranch. While the lower portion is fenced with cattle, the upper section resides in some of the most remote backcountry in the Greater Yellowstone. Along its 90-mile corridor, the Greybull travels from snow-capped peaks in the Absaroka Mountains to sagebrush flats at its confluence with the Bighorn River. Remote terrain protects the Yellowstone cutts in the upper reaches, but cattle ranchers have indirectly protected them in the lower reach. 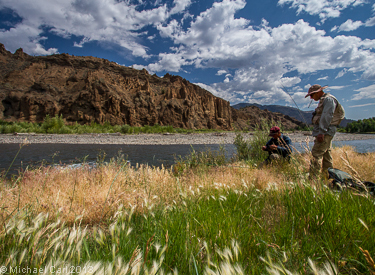 Numerous landowners within the Greybull River Basin want the watershed protected. Conservation easements offer a solution, preventing the fragmentation of private ranch lands. The largest of these landowners, the historic Pitchfork Ranch, has secured a conservation easement on over 13,000 acres of its rangelands and river corridor. Access to much of the lower Greybull remains off-limits to the public. Behnke hypothesized that the Yellowstone cutthroat trout once occupied the entire Snake River drainage, but subsequently, rainbow trout replaced the subspecies below Shoshone Falls and rainbow trout and westslope cutthroat trout replaced Yellowstone cutthroat trout in the Salmon and Clearwater drainages. 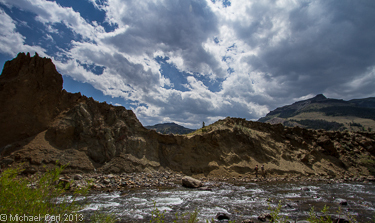 Historical habitat for Yellowstone cutthroat was estimated to include 17,721 miles of stream and 61 lakes. These historical habitat estimates represented a refinement of historical estimates obtained in 2001 (i.e. 17,393 miles; 118 lakes). The estimate of currently occupied habitat was 7,527 miles (43%) of historical habitat. The number of lakes currently occupied with Yellowstone cutthroat was estimate to be 205. 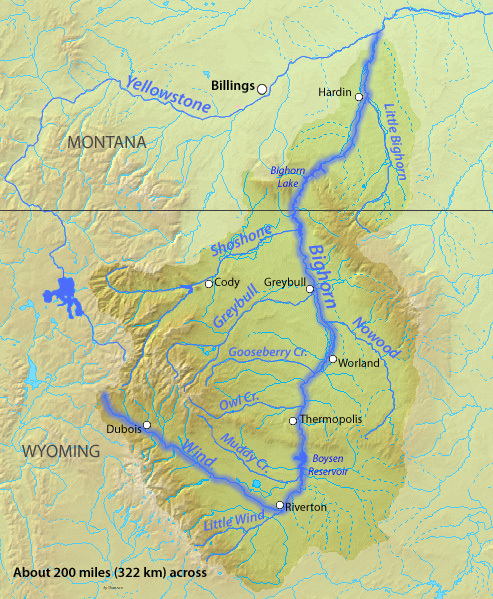 Historically, these fish occupied much of the Yellowstone River basin spreading across southern Idaho, Montana, northwestern Wyoming, and small regions of Nevada and Utah. Today, however, genetically pure Yellowstone cutthroat are found in less than half of their historic range and are mostly restricted to waters within the boundaries of Yellowstone and Grand Teton National Parks and surrounding Forest Service lands.